The BedRug Carpet Like, Bed Mat is one of the toughest bed mats on the market. It is molded from closed-cell polypropylene (plastic) is soft yet super durable. 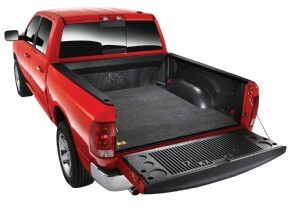 This material will not scratch the bed, nor will it absorb water, gasoline, or other chemicals. 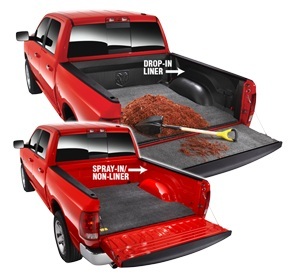 It is also impact-resistant, so it will protect your truck bed from dents and scratches from even the most harsh, heavy loads.